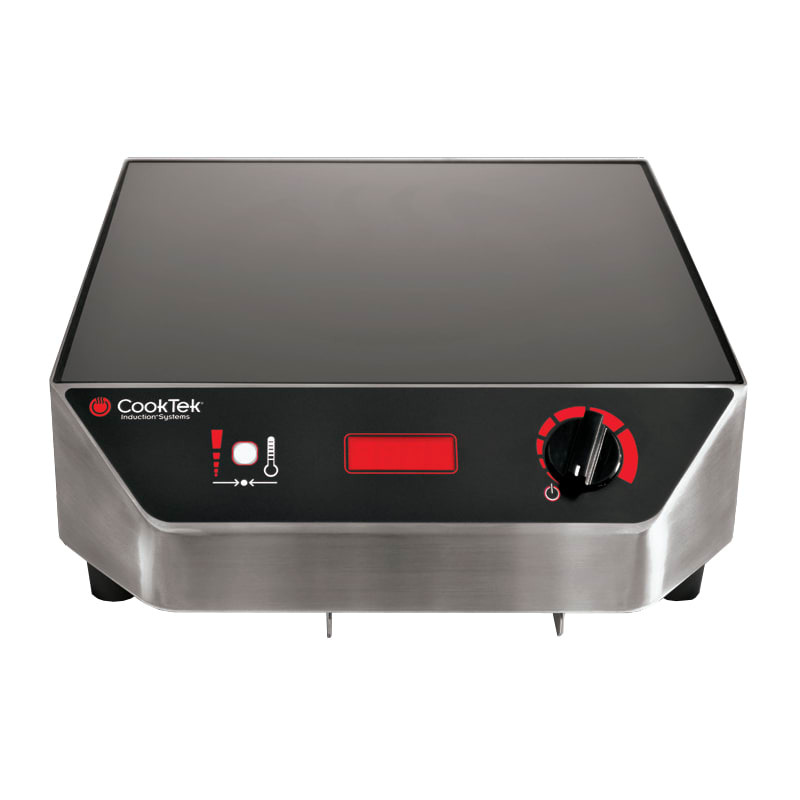 The CookTek portable countertop induction cooktop features a stainless steel exterior and a commercial-grade glass ceramic top for durability and easy cleaning. 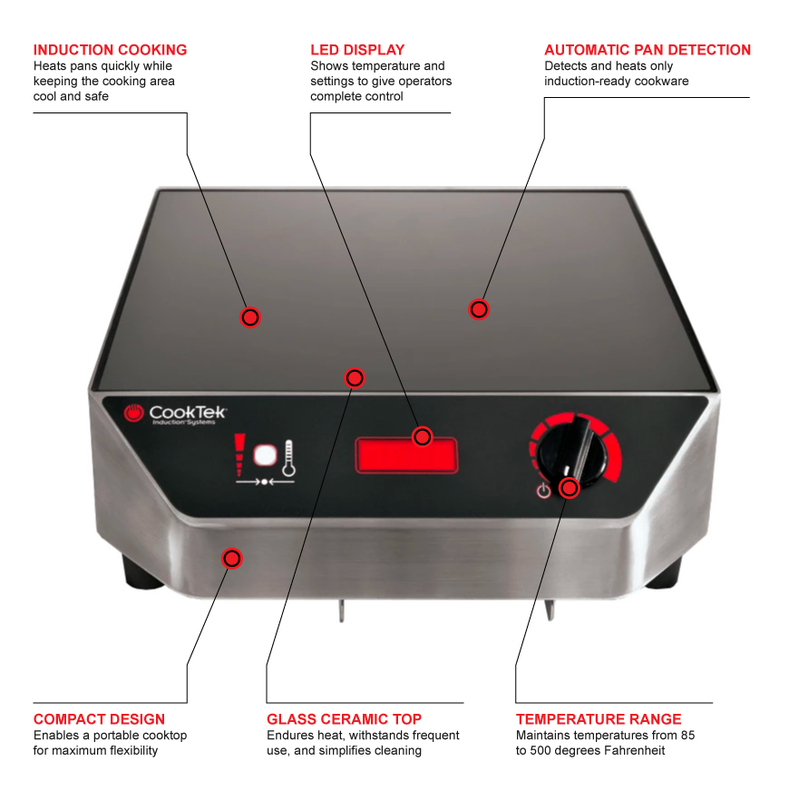 The easy to use controls have 27 temperature settings and 20 power cook settings along with the easy to read LED readout for precise control of temperatures from 85 to 500 degrees Fahrenheit. 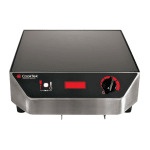 Built-in diagnostics monitor the power supply and components and shut down cooktop if overheating occurs. The integral fan keeps internal components cool for long life. Automatic pan detector instantly heats pan when present and keeps energy levels low when there is no pan and the maximizer feature which allows for maximum heating for different varieties of pans. "I've owned this induction cooktop for more than 3 years, and it is still going strong. Does not heat up the kitchen."